During early December 2016 an old tram body appeared outside the fitting shop at Rigby Road depot. The new arrival is the lower saloon of open-top car 16, which was part of a batch of 40 trams built by the British Electric Car Company in 1904 for the newly electrified routes of Paisley District Tramways. 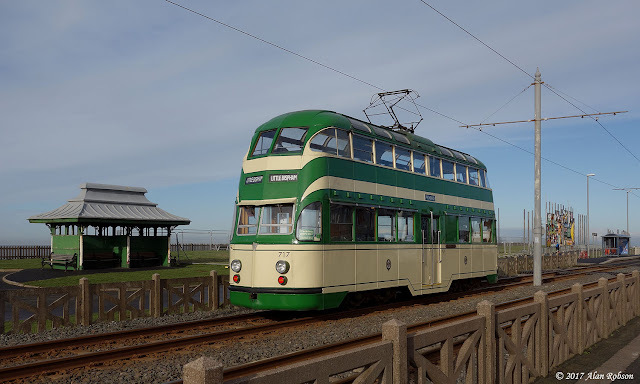 16 later became 1016 in the fleet of Glasgow Corporation Tramways, after the Paisley system was absorbed by the larger operator in 1923. 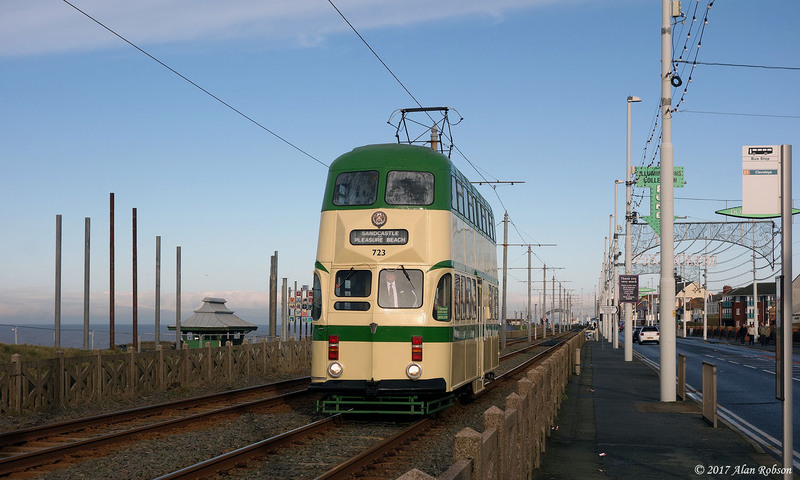 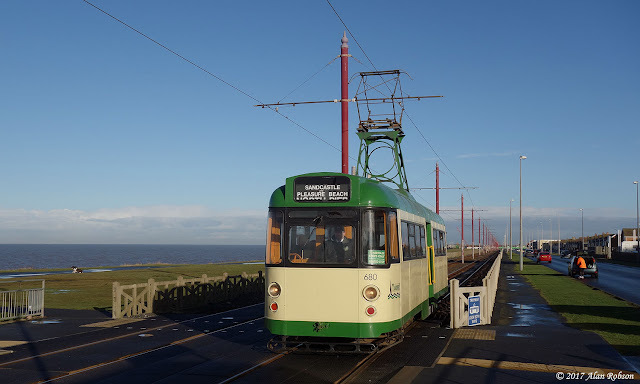 The lower saloon, truck and various other equipment belonging to the tram have been acquired by the Blackpool Heritage Trust from the Scottish International Tramway Association, being transported from Glasgow to Blackpool on 3rd December last year. 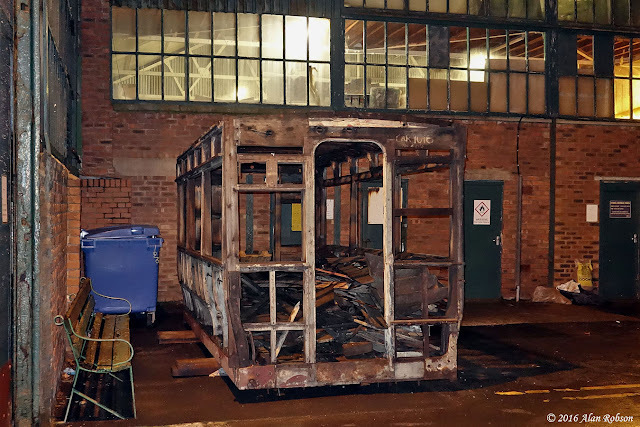 This tram is obviously going to be a very long term restoration project, given the number of other trams that are currently awaiting restoration at Rigby Road and the limited manpower available. 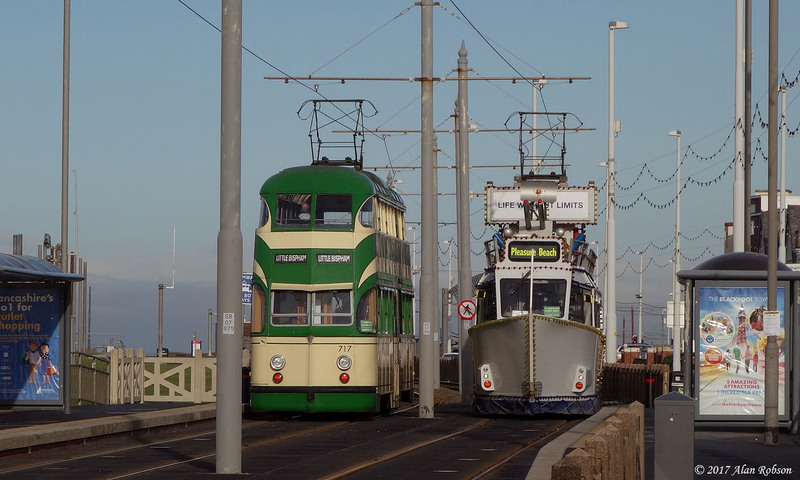 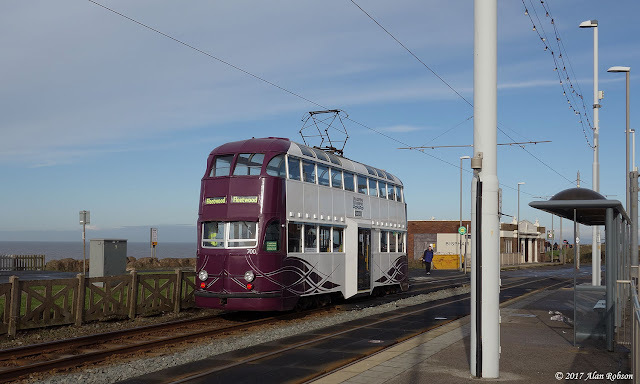 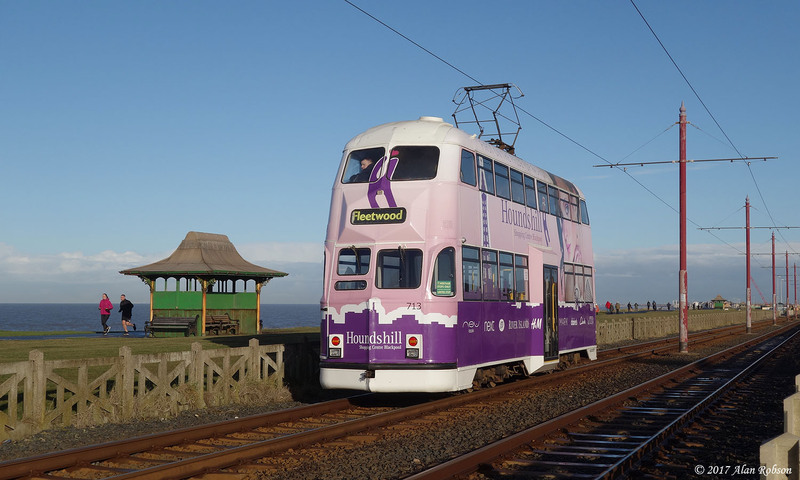 The first winter Heritage Tram Tour event of 2017 took place over the weekend of 28th & 29th January, with six trams running a gold timetable service. 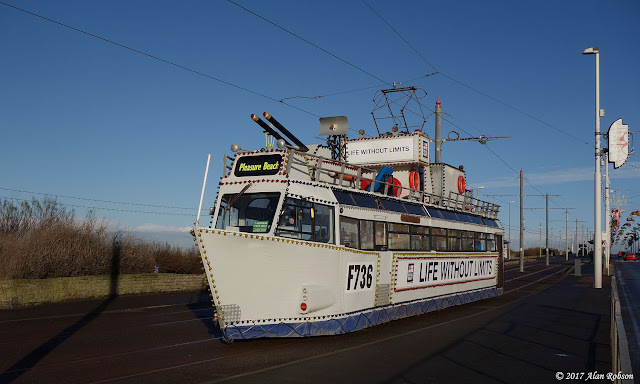 The six car output on Sunday 29th consisted of duty A: Balloon 713, duty B: Balloon 700, duty C: Balloon 717, duty D: Frigate 736, duty E: Balloon 723 and duty F: Railcoach 680. The second of three 11.1m Optare Versas has entered service with Catch22Bus. 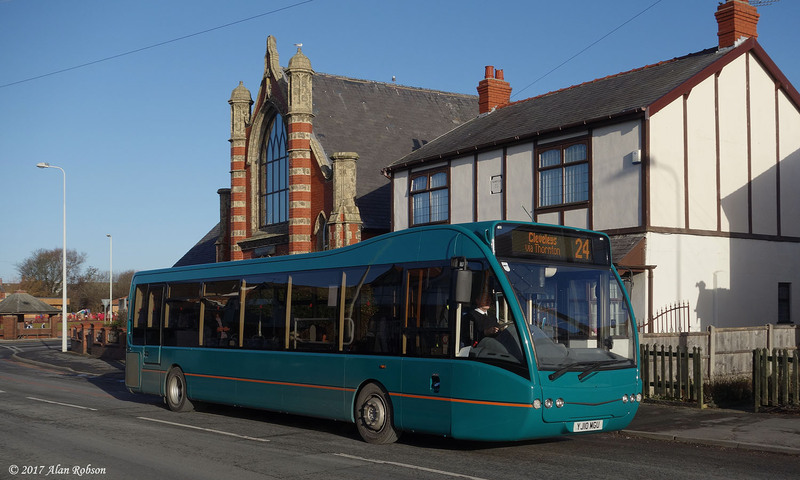 Unlike YJ61JHH, the first Versa to see use, YJ10MGU is in the standard all-over turquoise livery with orange lining. 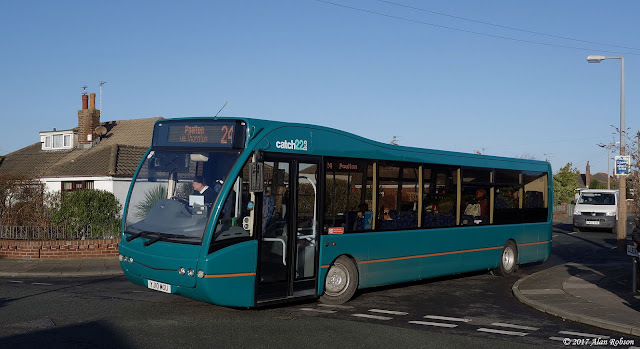 Both new Optare Versas are currently being used on the service 24 between Cleveleys and Poulton.